State's Attorney Anita Alvarez has tonight responded to pressure from Chicago's bicycling community to explain why two men who intentionally hunted for and struck bicyclists with their car were given seemingly light sentences. According to the Active Transportation Alliance, which initiated a letter writing campaign to compel Ms. Alvarez's office to justify the sentences, the state's attorney's office has revealed that "the prosecutor had requested that the two men have harsher penalties, but ultimately it was Judge Carol Kipperman’s decision to give Reza 10 days in jail with two years of probation and Fabian two years of probation." Apparently, Ms. Alvarez has agreed to discuss the matter further with representatives of the Alliance. Finally, there is an iPhone application that helps bicyclists map a safe route between two locations in Chicago and other North American cities. Ride The City's new multi-city app launched today and expands upon the RTC website, started in 2008, allowing cyclists to map bike appropriate routes while out and about. Much like Google Map's "go by bike" feature (not yet available on the Google Maps iPhone app), Ride The City plots a cycling route that steers bicyclists toward bike lanes, bike paths, greenways and other bike-friendly streets, and away from highways and busy arterial streets. I downloaded the app to my iPhone and played with it a bit this morning. It seems pretty good, providing the user with the option of choosing the most direct route, a "safe" route or a "safer" route. I tapped in my home and office addresses and let the app do its thing. When I requested the "safer" route, the application offered a fairly goofy, round-about path between my home and office. However, requesting the "safe" route the app provided the path I would consider the best and safest way to get from home to work. The application is still learning Chicago though. For example, the application fails to note that all of Milwaukee Avenue between Chicago Avenue and Armitage has a dedicated bike lane. In fairness to the developers, however, the app encourages and easily accomodates users' ability to point out errors and offer corrections. Over time, one would hope that Ride The City will improve. The application is available in the iTunes app store for $2.99. A Oklahoma man has been provided with $1.1 million by a federal jury in Oklahoma for injuries he sustained in a crash caused when the bracket holding his bicycle's front fender broke. The product liability lawsuit against Pacific Cycle alleged that the bicycle was inherently dangerous and defective. The failure of the bracket caused the fender to suddenly come into contact with the bike's front wheel which caused the bike to stop suddenly, propelling the man over the handlebars and onto the pavement. This story was reported in Tulsa World. Traditionally, alleycat bicycle racing was meant to replicate what bike messengers do on a daily basis: Quickly and efficiently ride through crowded urban landscapes to deliver parcels. 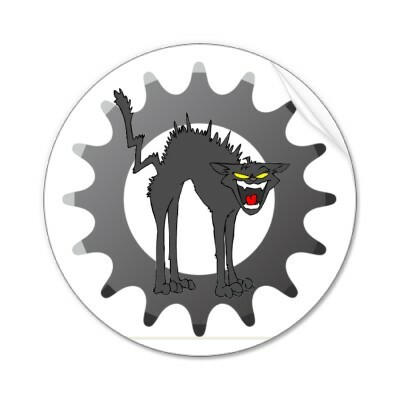 In its purest form, during an alleycat riders are informed of a number of checkpoints they must reach. At each, they receive instructions regarding what to do next, then it's forward to the next stop. Knowledge of city streets and back alleys, as well as strength on a bike are key components for success. The first racer to travel to all checkpoints and cross the finish wins. The spoils are modest: a smallish amount of cash, a new bicycle or component. The real prize, however, comes from knowing (and letting it be known) that you are the best at what you do. Collecting wins is better than employee of the month plaques, yet not as obnoxiously self-aggrandizing as collecting yachts and sports cars. Here's the thing though: Alleycat races are dangerous and illegal. Under Illinois law bike races must be approved by state or local authorities before they may take place on public streets. Generally, approval will not be granted unless accommodations are made so that the event does not interfere with traffic. 625 ILCS 5/11-1514. The point of alleycat racing is to test one's ability to travel by bike in the city under the kinds of conditions faced daily by bike messengers, in traffic. Obviously, no governmental authority would sanction a race in moving traffic. One significant downside to these races operating outside the law is that they are uninsurable. If a racer is hurt due to a poorly designed or designated course, or some other negligent act or omission by the race organizer, he or she will likely be out of luck with regard to receiving compensation. Alleycat races are pretty much always illegal, and can be very dangerous. 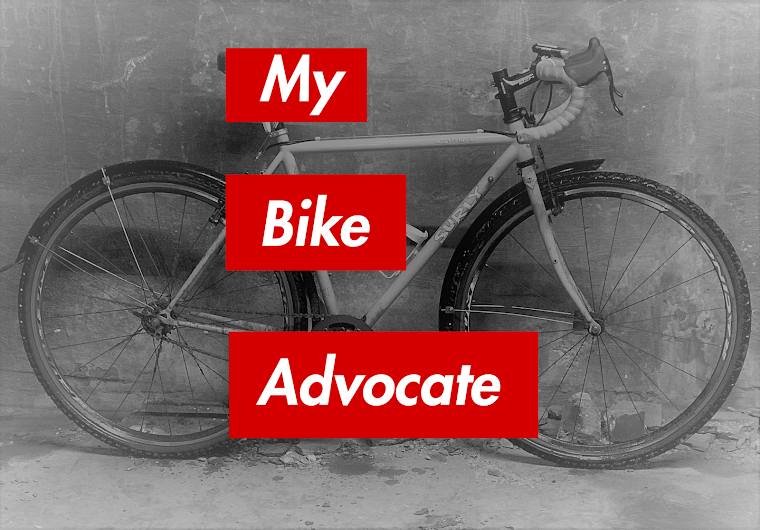 That said, they can also be a very important part of the messenger community and the biking community in general. It sounds crazy, but I probably wouldn't be where I am today if I hadn't participated in alleycat races. In their purest form, alleycat races are a way for messengers to compete against each other and find out who is actually the fastest and who knows the city the best. I have the top spot at one of the best messenger companies in Chicago, and the truth of it is that I got into the company that I work for by racing in alley cats and proving myself about four years ago. That used to be the main purpose of alleycats. They were races put on by messengers for messengers. But a few years ago, alleycats started to get really popular with city cyclists, and they started entering alleycats, and eventually throwing their own. It got to the point in Chicago where there were more non-messenger thrown races than messenger ones. Of course companies with hip marketing departments became aware of this scene, and sponsorship for the races grew. The early alleycat races usually didn't have any sponsors at all, they would just be a cash race, winner takes all. It has gotten to the point where people are having alleycat races in cities which don't even have any messengers in them. I heard about a race in St. Augustine Florida, which seems kind of silly. A couple of years ago, Velocity wheels sponsored and threw an alleycat in the city in Michigan which their headquarters are located. Once again, there were no messengers in the city, but they had an alleycat with a huge prize list, and people came from all over to race. There aren't as many alleycat races in Chicago as there used to be. The Sadie Hawkins race in the fall is a yearly race, which has very little involvement by messengers, but it's a fun race and usually has a huge turnout. A messenger has been throwing a race about once a month downtown. These races are short and fast, and are set up to favor messengers. There are usually a couple of stops in each race that are very hard to find unless you are a messenger. The biggest race used to be the Tour Da Chicago, until Matt's death. As far as the safety of alleycats, it is pretty much up to the individual racer to race within your limits. There isn't really any way to make a completely safe alleycat race. The whole point is that you are racing on city streets with traffic. The difference between a good alleycat race and a bad one is the level of organization and how well the race flows. But how well the race is organized really doesn't have any bearing on how safe that race will be to enter, just how much fun it will be. 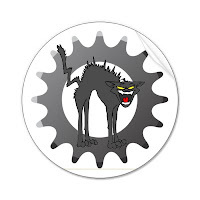 Alleycat racing, if it is to be done at all, should be left to folks who know what they are doing. A group of riders racing through city streets pretending to be something they are not, professional bicycle couriers, is a recipe for disaster. Before deciding to participate in an alleycat understand what you are getting into. Bicycle helmets do not last forever. Today's high tech helmets are meant to break in a crash. The idea is, better the foam plastic helmet than the rider's coconut. If you are involved in a crash while wearing a helmet you should replace the helmet immediately. Do not reuse it, even if it shows no obvious exterior signs of damage. The foam underneath the plastic shell may be damaged enough to reduce it's effectiveness in a subsequent crash. How hard does a helmet have to hit something to render it useless? German scientists have come up with an innovative way of helping cyclists make that determination. They've created a helmet that smells like stinky cheese when it is cracked to alert you -- and everyone around you -- that it is time for a new one. Smart; but we all knew Germans make good stuff. Check out this innovative Limburger lid by clicking here. Click here to learn more about when to replace your bike helmet.